Clean out your gutters! 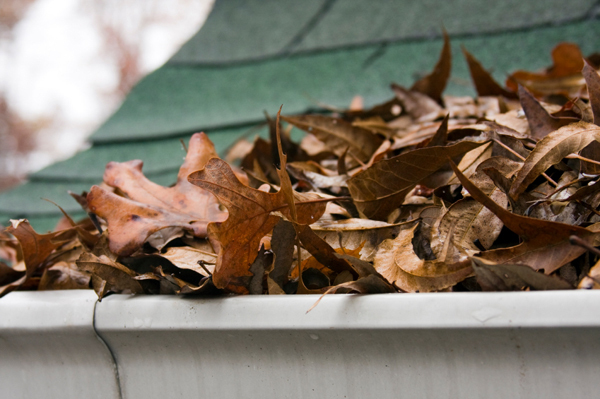 Here are some possible mishaps when you don’t maintain your gutters throughout the year. Perhaps the most common ailment to both cleaned and uncleaned gutters is a leak. Easily found and repaired during routine inspection of the gutter, a leak that goes unfixed can cause major damage to the exterior of your home and even the gutter itself. A leak can cause mold and rotting, leading to the gutter giving away and falling from your roof. A leaking roof occurs when your gutter cannot maintain the water drainage from your roof. The spillage that does not fall to the ground can accumulate on the roof, causing damage. During cold weather, gutters may fill with ice, causing snow buildup on the roof. The sitting snow and later melting cause added weight and eventual harm to the roof. Most gutters drain toward the bottom exterior of the home. If they are not working properly or aren’t cleaned, the excess water will collect around your basement and eventually leak in. A leaking basement is one of the most hazardous possibilities, because it can result in a gas leak, electrical shock and pollutants in your home. Some homes have foundations made from wood. Without a gutter for the water to drain properly into, the water will accumulate and saturate into the house. Over time the wood will rot, causing possible foundation damage and issues with your home’s structure. Like rotting wood, foundation cracks occur when water is absorbed into the home. More likely to occur during colder months due to freezing temperatures and possible “frost heave,” water buildup will cause wall cracks and cracks in the foundation itself. Not as easy to see, this damage occurs in between walls and can eventually lead to mold in your home. Where there is moisture, bugs will go. Without a properly maintained gutter, bugs will grow to love your wet and moisture-filled gutters. Nasty critters like carpenter ants, roaches, earwigs, mosquitoes and even termites are likely to cause an infestation in a non-maintained gutter. Not only can water cause your sidewalks and driveway to become slippery from excess water and ice, but it can also cause damage. The extra water can cause a sagging and cracked foundation. To avoid this, direct your drain spout in another direction. When a gutter is damaged or unable to retain water, the water then leaks out to the landscape, including your exterior plants. Overwatered plants can turn dull and die, causing an ugly and drowning landscape.